Designed to please the most discerning eye, these glasses live up to the name they elegantly carry. 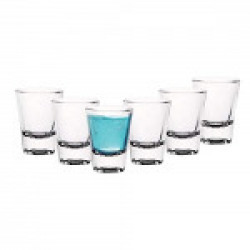 This special range of tumblers or shot glasses will pleasantly surprise you with the hint of colour and minimal design pattern will refrain from jarring your aesthetics. So, feel the spirit rising in your heart much before the drink reaches your lips.